I’ve always laughed about how appropriately (or inappropriately) a name can describe a horse. To name a few (famous and not famous) options…. I mean, this mare had such grace and effortless float to her. Butterfly flip sounds like an ice skating maneuver. Talented, agile as all heck. Chill, this horse was not. 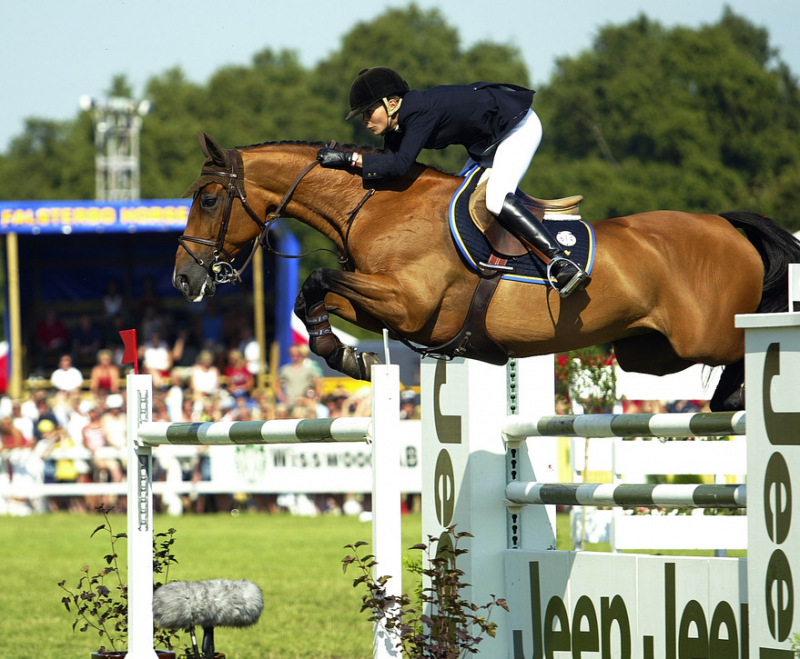 Yeah, I’d need someone to catch me too if I rode a hunter that jumped like this! Ligist is German for “hooligan”. I don’t know about you, but when I am called a hooligan, I do not have that level of care toward my job. This is my level of hooligan. Beautiful mover, emblematic of partnership…. I buy in. I am also calling my own bias. Any notable names from your own lives? Either because they are super appropriate (or not)? Unfortunately riding has been tough with weather recently and other unrelated circumstances. But the days have been GORGEOUS. Nothing like riding on beautiful day after weeks of bad weather. It’s no secret that the world is moving to cities. As we migrate to our high-rises and skyscrapers, land becomes increasingly expensive as most of our public spaces will be converted into vertical architecture. We cannot put horses in skyscrapers. Though at the Royal Agricultural Fair, there is a two-story stable building which has always given me pause. As well, I do know some carriage horses in New York and other large cities reside in multi-story buildings. This is far from the ideal circumstances for our performance horses. So this begs the question, how will increased city living change the way we ride our horses? This is the key driver forcing all of the below listed after effects. My suspicion with increasing property values is that horses will have to be managed on less land. That means larger scale barns, smaller turnouts, and meticulous scheduling. Getting a horse moving will become increasingly reliant on treadmills / hot walkers and other “simulated” turnouts. Gone will be the days of endless lush green turnouts for solely two horses. Our horse care professionals will need to accommodate for less variety of footing and likely less of “freeform” exercise. We will see more injuries related to inconsistencies in work frequency and loading; fewer related to turnout-related freak accidents. Increases in horse proximity and activity may lead to higher instances of ulcers. Horses that are given strict schedules may flourish (high-level of detail on care and training) or flounder (over drilling until submission). With greater time spent in a stall, owners may spend more on enrichment objects and activities for their horses. With the mounting pressure financially, some barns will not be able to afford to be a mid-tier facility. Stratifying the divide between “us” and “them”, the elitism of the sport will be positioned to intensify. Living in close proximity to others has shared advantages of public services, transportation, and culture. We gain so much from interactions with diversity and enabling a pooled set of resources. Horseback riding is not a typical sport. You cannot shove it in the basement of a gym, and rest laurels on the comradely of people. Our equipment requires special storage, care, and attention. As we adjust to the new normal, this will present real shifts in our industry. In my suspected future, what do you agree or disagree with? What did I miss? On Sunday, there was a miscommunication in which Q was hacked before I came to ride. No matter, I am used to these kerfuffles (but I do attest, I cannot wait to have a horse all my own). Instead, we had a spa and grass day. Naturally, this led to a more stubborn stalemate. How wonderful is it to just relax with your horse? We all look forward to lessons, most of us want to improve. But there is a special significance if you recently have been having good rides, and you and your horse are in sync. It also helps when your last lesson was SUPER good. I am so excited for the weekend! A totally bizarre phenomenon happened to me while riding tonight. Next door, there was a ton of activity, so Q was feeling like the pony express. Let there please be yelling and sounds of “yipee-kai-yay”-ing all the time please. So much more forward, so I did not have to play the jockey. Could you forget to ride me tonight since I look super cute? Cowboy yipping aside, I made a realization tonight, while riding in a plain t-shirt sans jacket. I had never ridden next to Christmas lights. In my colder climate homes, it was far too cold to ride outside productively in the time near to Christmas. Most days of riding, it was not even really safe to be driving out to the barn. (Which is how I became an expert and driving through immense snow piles in a two-wheel drive bug). Sure, I’d admire Christmas lights on route to get to the barn, but never did I get to ride with them in view. Not going to lie, I could get used to this! Lackluster photos taken while walking, but it is impressive!